CNC technology has revolutionized the machining industry with powerful benefits including improved automation, consistency, accuracy, and flexibility. 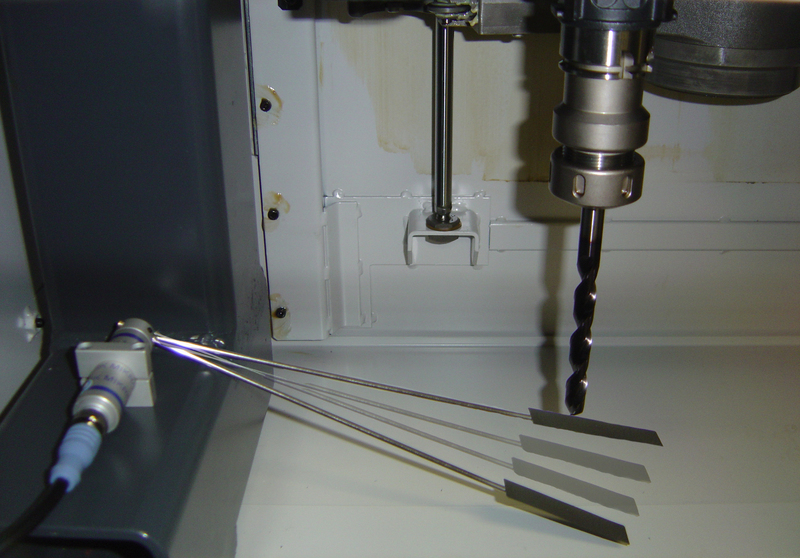 So what is the weakness of CNC machining? Its weakness is really our weakness: under-monitoring performance. We don’t monitor our machining enough and we tend to monitor our work pieces rather than the tools actually performing the work. As a result our processes produce faulty components, cycle down time, and wasted material. The limiting factor of our success is typically not our CNC machine, but our tooling performance. Under the demands of the necessary functions we demand from our tools, we experience unpredictable tooling wear and breakage. In moderate or high production environments, CNC machine sensors are the answer. With the relatively low cost of CNC machine monitoring systems, even modest decreases in down time and waste result in rapid paybacks and high returns on investment (ROI). Our preferred product for this application is the BK Mikro TK8A. This entry was posted in CNC Tool Sensor and tagged CNC Machining Weakness, CNC Tool Sensor System. Bookmark the permalink.